February 23, 2016 – Humans use glasses to help them see better, but for robots, the fix is in their code. 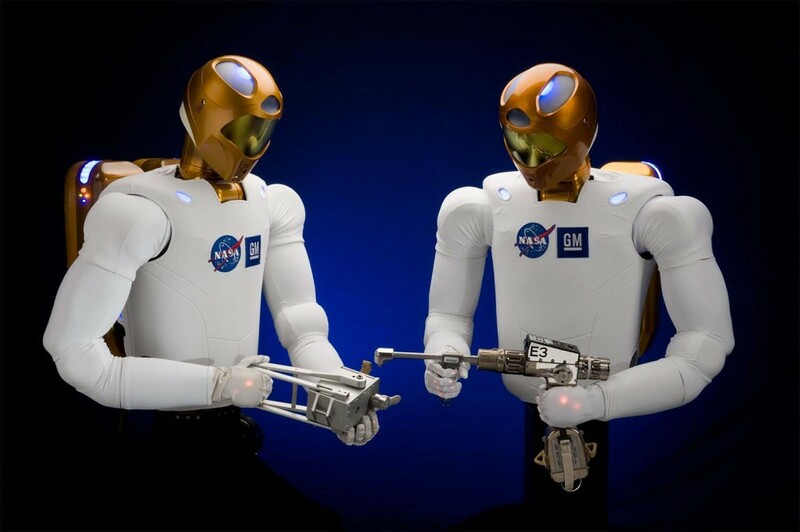 NASA is asking coders to create algorithms for Robonaut 2, or R2, that will improve its 3-D vision. The Robonaut Vision Tool Manipulation contest kicks off on February 23, and offers a total of $10,000 in prizes for the best algorithms. R2 is the first humanoid robot in space, currently being tested on the International Space Station. Serving as an extra set of hands for station crew members, the robot is looking to help with the more mundane or repetitive tasks that are required for maintaining the million-pound laboratory, freeing up its human colleagues for critical science and repair work. For example, R2 manages inventory using an RFID reader and fastens bolts with a drill. While astronauts can control R2 directly, making the robot more autonomous will make work on the station and on future deep space exploration missions more efficient. One goal is to help R2 “see” better. In order to use a tool, R2 relies on an algorithm to determine a 3-D representation of the tool. The algorithm works with the robot’s control system and allows R2 to create a plan for grasping objects and completing its tasks. Existing algorithms assume that high-resolution images are always available. New algorithms are needed that can determine differences in objects based on noisy, stereo vision data. The objective for the Robonaut Vision Tool Manipulation contest is to create algorithms that will receive a pair of noisy stereo images of common space tools such as an RFID reader, an EVA handrail, or a softbox, among others, and determine the correct 3-D representation of the object in the image pair. The challenge is supported by NASA’s Space Technology Mission Directorate and managed by NASA’s Center of Excellence for Collaborative Innovation (CoECI). CoECI was established with support from the White House Office of Science and Technology Policy to assist NASA and other federal agencies in using new tools – such as challenges – to solve tough, mission-critical problems. The Center launches challenges under the umbrella of the NASA Tournament Lab and offers a variety of open innovation platforms that engage the crowdsourcing community in challenges to create the most innovative, efficient and optimal solutions for specific, real world challenges.